German goalkeeper coach Harry Huber shows you how to practice the correct timing and technique for making saves on low driven shots towards the corners of the goal. 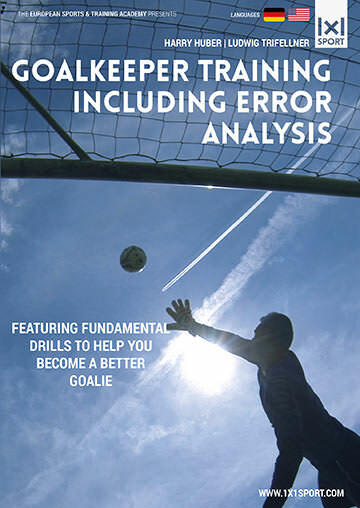 Learn how to spot technical errors and other potential problems and help your goalie become a true #1. Let’s start off with an important piece of advice: Your goalie should always watch and follow the ball not the player. When he is about to make a save, he should make a quick little jump and be in his ready position. After that he has to make a big step sideways and forward. This way he can jump towards the ball via his knee. i) His hands have to move towards the ball and catch it right in front of his body. ii) His lower elbow should not hit the ground. Instead he has to turn it inwards, so he won’t lose the ball upon hitting the ground. iii) His upper body moves towards the ball.